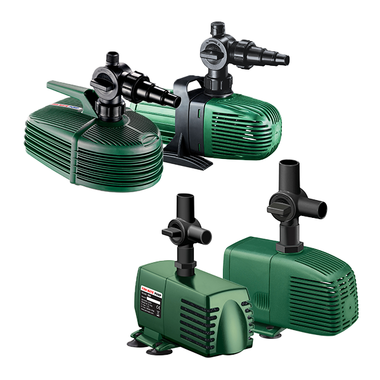 Fish Mate are proud to present their range of pond pumps. 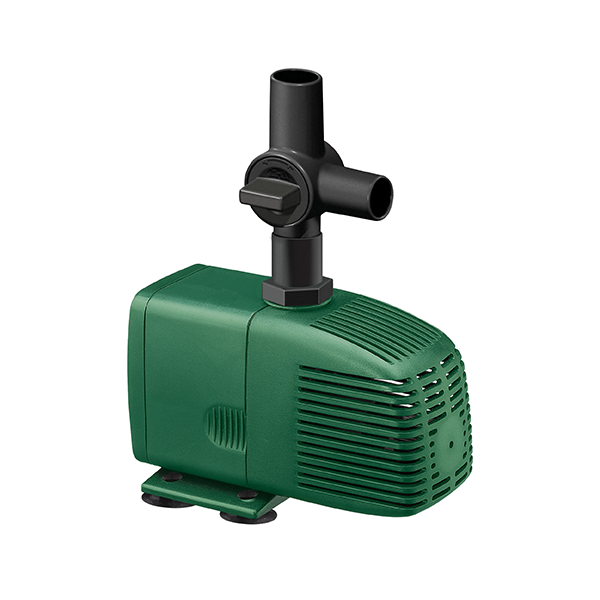 Adding a pump to your pond opens up a whole world of possibilities. Moving water can transform your stagnant pond into the focus of a beautiful water garden. 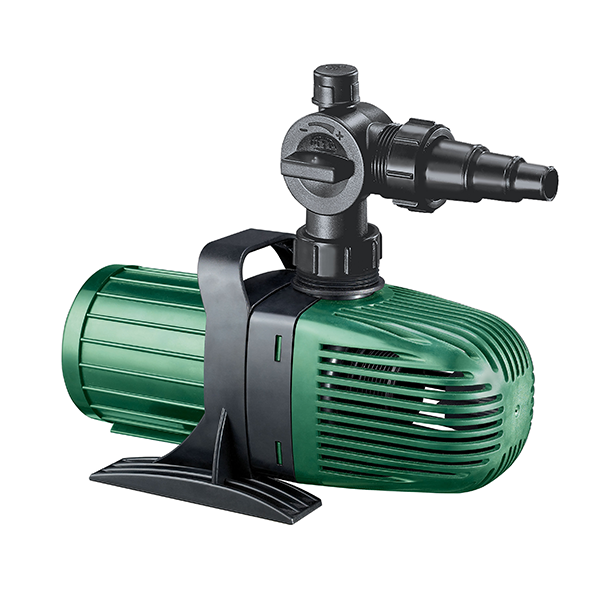 Fish Mate Fountain & Feature pumps are a world leading range, with outputs up to 21,00 litres per hour (4175 gallons ph) and 8.1m head. 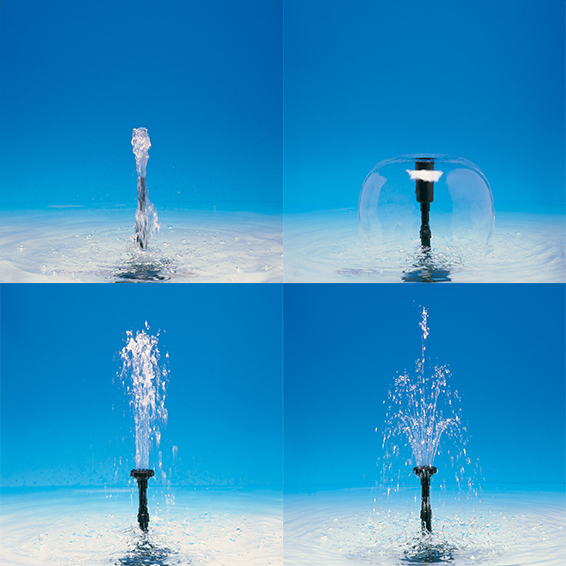 Please note: The 700 model has a single outlet for use with a fountain OR waterfall. All other models have two outlets with the ability to adjust the water flow between the two.